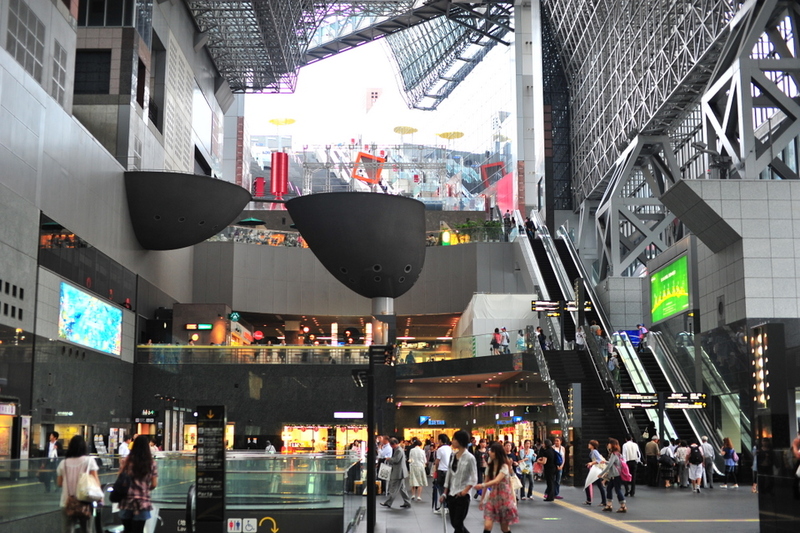 With such a great train culture, there are also some interesting stations to visit in Japan. Tokyo Station still has some of the red brick buildings left, but here at Kyoto Station, you can see modern Japanese breezy station building with plenty of character. Dark polished surfaces surrounded with rich colors. Modern Kyoto.